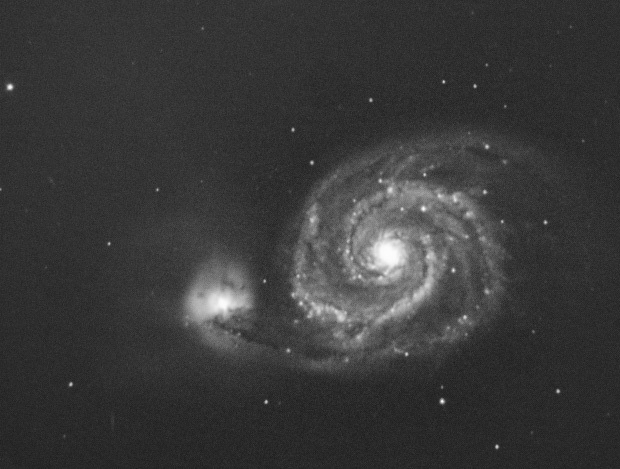 This is certainly my best M51 so far. 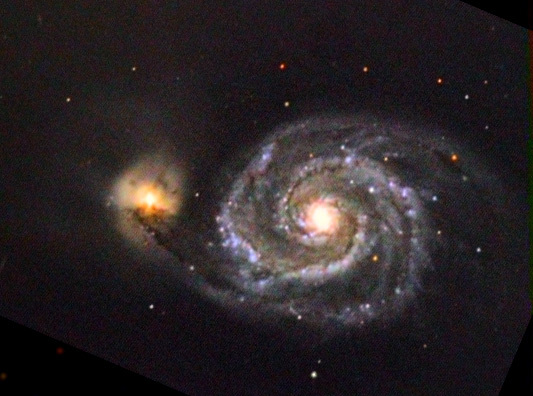 Presented here is the L layer taken on 4th April, and a colourised version, using data from 2nd April. The small streak in the bottom left is not a hot pixel, its IC 4277, another, more distant galaxy. Captured in K3, stacked in registax with darkframe. Saved as FITS. RGB fits coregistered and balanced in IRIS. Slight RL deconv in IRIS on L layer. Photoshop used to combine colors. Multiple L layering in photoshop + curves + colour balancing.